NORTH BAY, Ont. 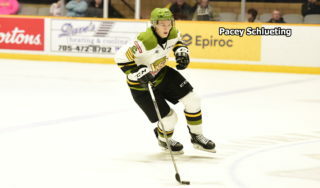 — Justin Brazeau of the North Bay Battalion won one category and finished second or third in three others in the Ontario Hockey League’s Eastern Conference when results of the 2018-19 Coaches Poll were released Wednesday. Right winger Brazeau took the vote as most dangerous in the goal area with 33 points, ahead of left winger Arthur Kaliyev of the Hamilton Bulldogs with 21 points and right winger Tye Felhaber of the Ottawa 67’s with 20. 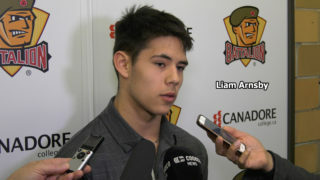 In addition, the Battalion’s Brad Chenier was third in the vote for best body checker. The Coaches Poll in each of the two conferences sees every club submit one nominee in each of 20 categories. Coaches then vote for the top three players in each category within their conference. Players receive points on a 5-3-1 basis. Coaches may not vote for their own players, producing a maximum of 45 points for each winner. Brazeau finished second in balloting for best shot with 24 points, 11 behind Kaliyev. Centre Brandon Saigeon of the Oshawa Generals was third with 11 points. Brazeau was third in tight voting for smartest player with 20 points. Centre Marco Rossi of Ottawa won the category with 22 points, and centre Ryan Suzuki of the Barrie Colts had 21. Brazeau also finished third in the vote for best shootout shooter, drawing 13 points. 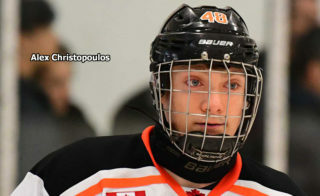 Left winger Matthew Strome of Hamilton was first with 20 points, followed by right winger Cole Carter of the Mississauga Steelheads with 15. 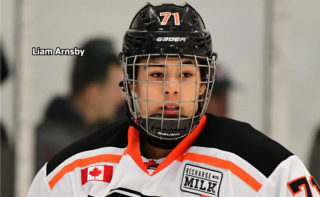 Brazeau, who turned 21 on Feb. 2, was a 13th-round pick in the 2014 OHL Priority Selection from the New Liskeard Cubs major midgets in his Northern Ontario home town. He was the only player in the conference represented in four categories. Left winger Chenier, who garnered 16 points, finished behind Barrie defenceman Tyler Tucker with 31 and left winger Navrin Mutter of Hamilton with 21 in the body-checking balloting. 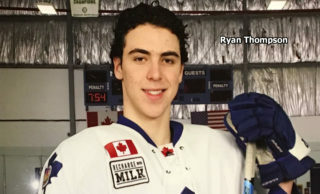 Chenier, a Kitchener native who turned 20 on Jan. 20, was a fourth-round pick in 2015 from the Sudbury Wolves minor midgets. Ottawa led the conference with eight players represented among the top three vote-getters across nine categories. 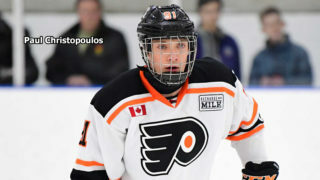 Oshawa, which had seven players voted to the top three in nine categories, tied for the conference lead with four winners, in centre Brett Neumann as best skater, defenceman Mitchell Brewer as best shot blocker, centre Kyle MacLean as best defensive forward and Kyle Keyser, tied for best puck-handling goaltender with Ukko-Pekka Luukkonen of the Sudbury Wolves. Hamilton also had four firsts, headed by Kaliyev winning best shot and hardest shot.